Rosario Candela designed junior four in a dream Upper East Side location.Residence #2-E at 44 East 67th Street is simply the perfect pied-a-terre, Upper East Side full time residence, or investment property, located between Park and Madison Avenues in a full-service boutique CONDOMINIUM. The home, facing away from the street in the sunny south side of the building, is marked by all of Candela's art deco touches: stunning herringbone floors, a large dining foyer, high, beamed ceilings, stunning original windows, crown and base molding, and significant closet space.Enter into the apartment to be greeted with southern light coming into the oversized living area, with a dining area just near the entry to the apartment. 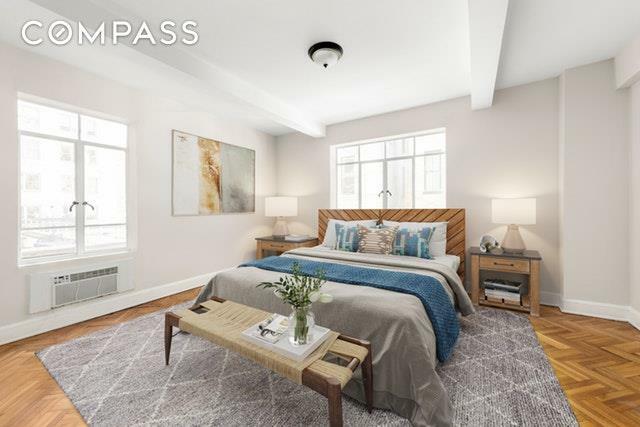 The master bedroom has a corner exposure overlooking townhouses on East 66th Street and gets ample light. 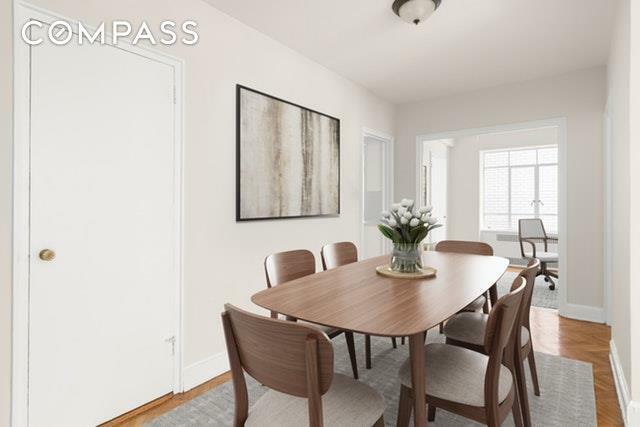 A secondary room, usable as a den, office, second bedroom, nursery, or dining room, is a terrific addition of space to the apartment. The closed kitchen has a private service entrance, gas range, and dishwasher. 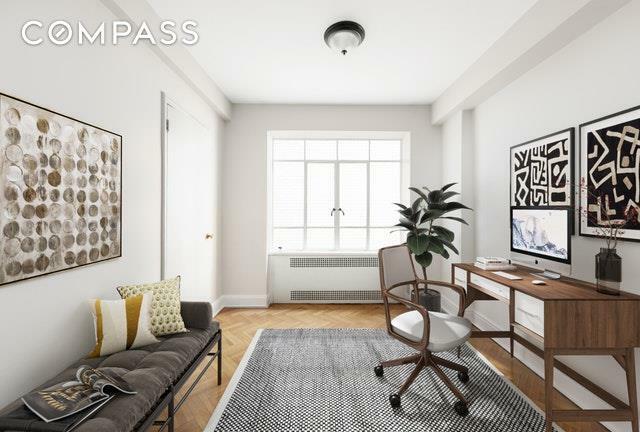 44 East 67th Street is a full-service, pet-friendly elevator condominium with 24 hour doorman/concierge, full time resident manager, a large laundry room in the basement, bike storage, and a common courtyard. The building has just updated the lobby and hallways, keeping with the landmarked art deco design while adding an air of modernity to the building. 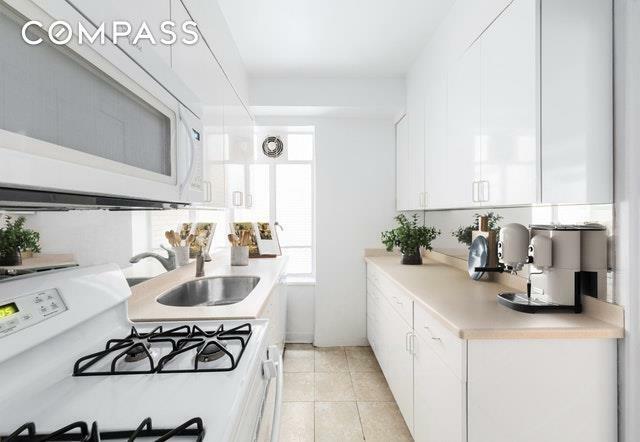 Located in the most ideal Upper East Side location, the apartment is a stone's throw from the entry to Central Park, a half block to world-class shopping and restaurants on Madison Avenue, a quick walk to Midtown, Bloomingdale's, Barney's, and Bergdorf's, and moments to transportation including the 4/5/6 and F trains and multiple bus lines. *Photographs are virtually staged.